This is the entrance to a little oasis in the big city. If you step inside these doors don’t bring your drama; take on their calm, take on their zen and only bring an empty stomach. Kyoto Garden Sushi is a truly peaceful little spot. Its funny to think of a restaurant as peaceful – everything is normally busy, trying to catch a waiter’s eye, needing a new drink, people talking too loud, food taking too long. That simply doesn’t apply here. The restaurant is pretty small, well staffed and the waiters are just one eye motion away. My following drink was always ordered before my last was finished and I never had that anxious ‘where on earth is my waiter’ moment. 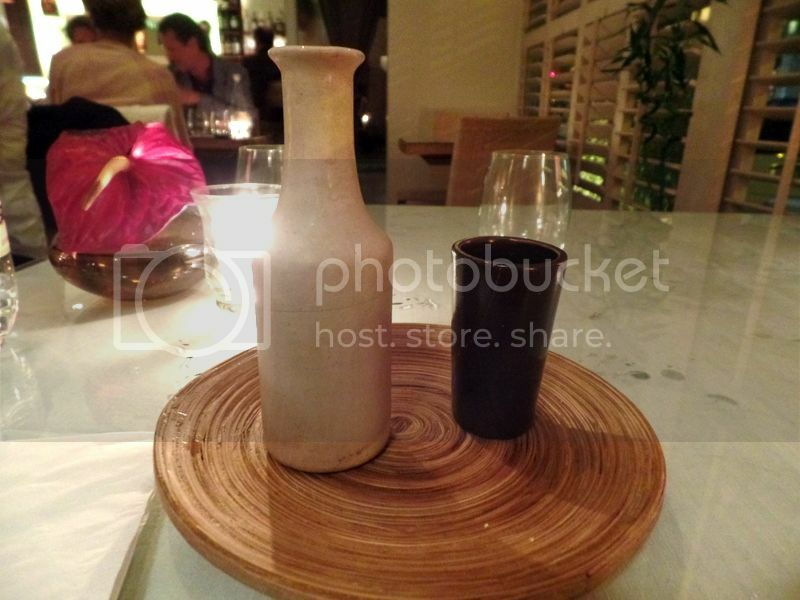 To say I was impressed with the service and the atmosphere was an understatement. Everything was effortless – they took any stress off me and left my only responsibility as eating and drinking to my heart’s content! And oh did we eat and drink to our hearts content! I’m incredibly impressed at our ability to work through almost the entire cocktail menu and on a Thursday evening nogal! 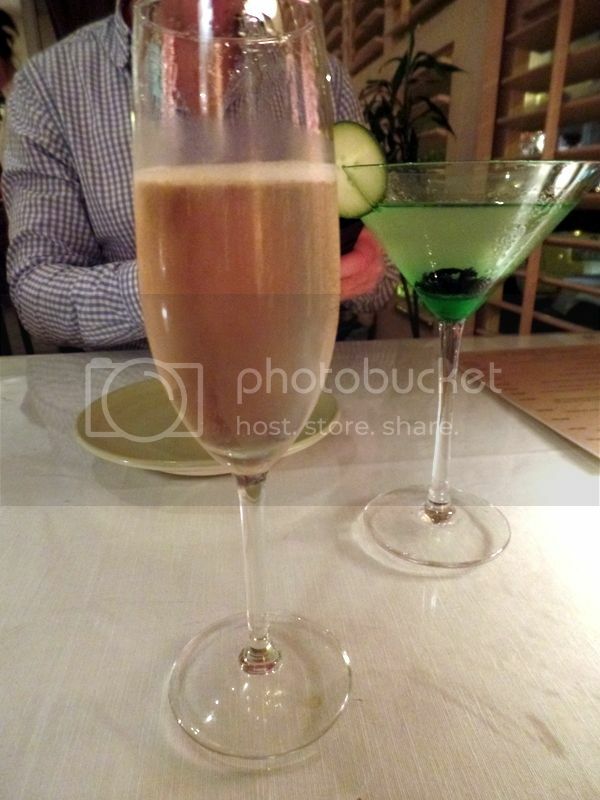 We really did you all a favour to point out the best cocktails – you’re welcome! I started with a Garden Fresh Martini featuring Bombay Sapphire Gin. I love gin so this is a great choice for me – but be careful it’s really strong so not a knock it back kind of cocktail! 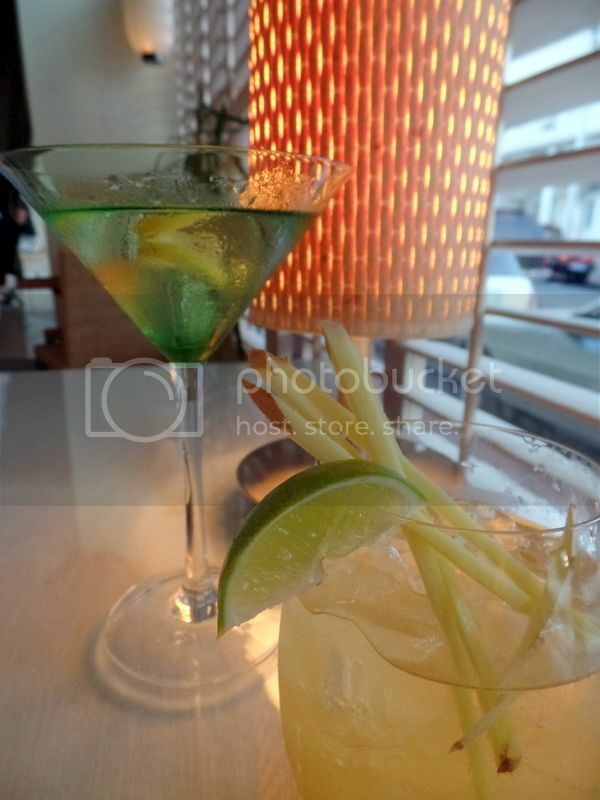 George opted for the Ginger Mizuwari which involves ginger, fresh limes and whiskey – he was off to a great start! Make sure to chat to the waiters about their cocktail menu! They really know their stuff and make great recommendations based on your personal taste. This such an extensive cocktail list it would be a shame not to try one! On drinking too much note: there is a myciti bus stop located conveniently close to Kyoto Garden Sushi which makes for easy drinking and no driving kind of evenings. I’ve got to be honest with you. This is a platter of very strange things. These things are probably pretty normal over in Asia but pretty strange to me. When we spent some time in Hong Kong you could find snake head soup in most supermarkets – their normal is not our normal. But sadly my little Western palate could not get behind these strange little things. 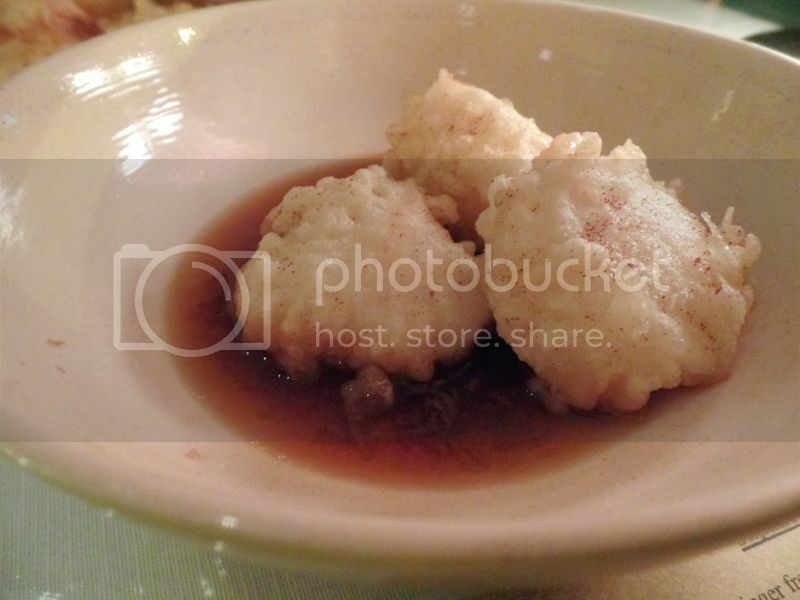 You’re looking at a little amuse bouche of bamboo, Chinese cabbage and jelly fish. The bamboo is the peachy squishy looking stuff – this was my least favourite. The Chinese cabbage was quite refreshing if a little too salty. 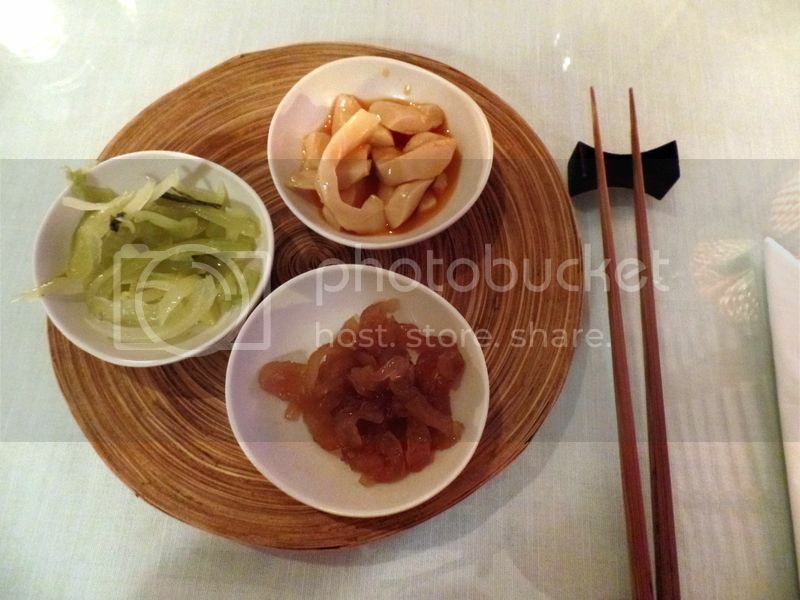 And I actually got by alright with the jelly fish which was kind of sweet and sour and rubbery. But hey – I’ll always try something new! And then the real food started and man it was so divine! This is the tuna tartare which doesn’t look mind blowing but it was fantastic! The tuna was so incredibly fresh, with a melt in your mouth texture like butter left out the fridge for a minute or two. This dish was so rich and packed with flavours which were helped along with a little wasabi peppered through the tartare. 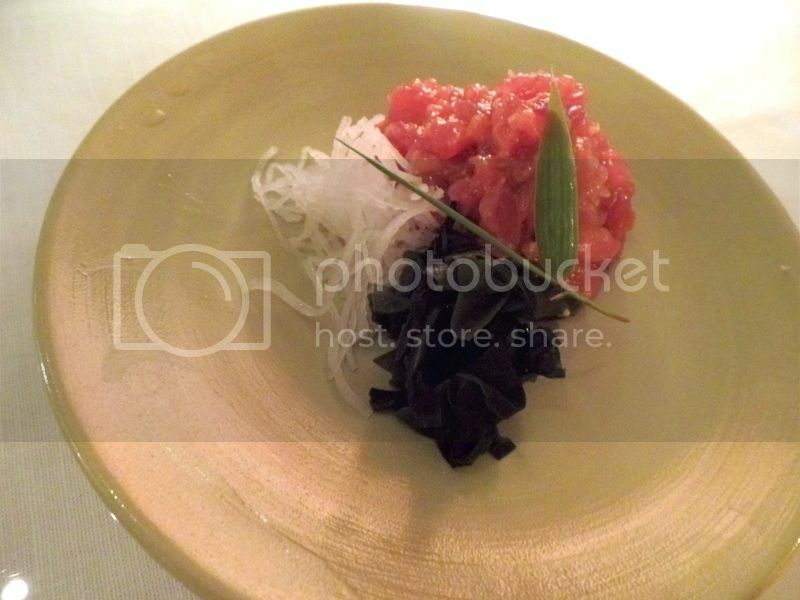 I have had tuna tartare since this dish and now all experiences will be measured up against this perfect tartare! Next came the beautiful Chef’s Creation which was made up of salmon, tuna, prawn and line fish nigiri, four little salmon and avo california rolls and salmon and tuna sashimi. The presentation alone won me over! What I love about Kyoto’s sushi is the craft behind the sushi. The rice is together but not squashed – this is surprisingly rare to find. 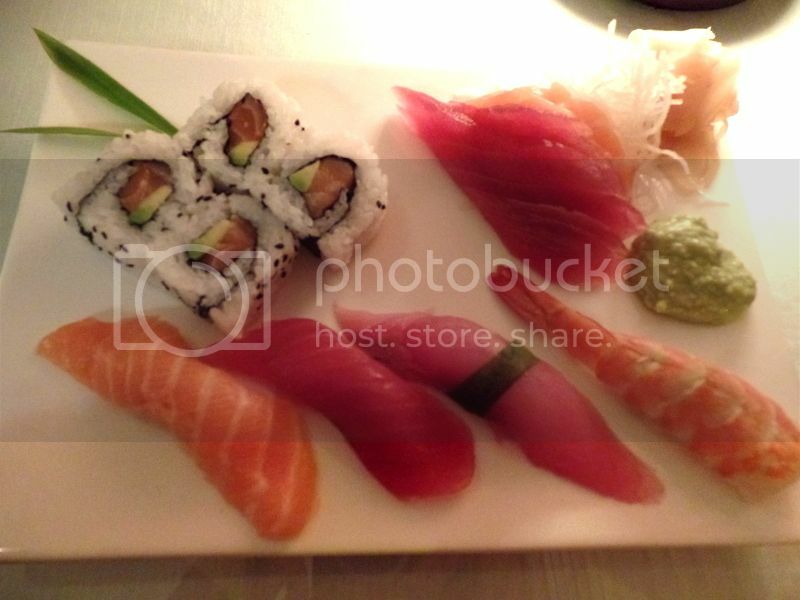 The fresh thinly sliced fish is just gently graced with wasabi and laid down across the awaiting rice. 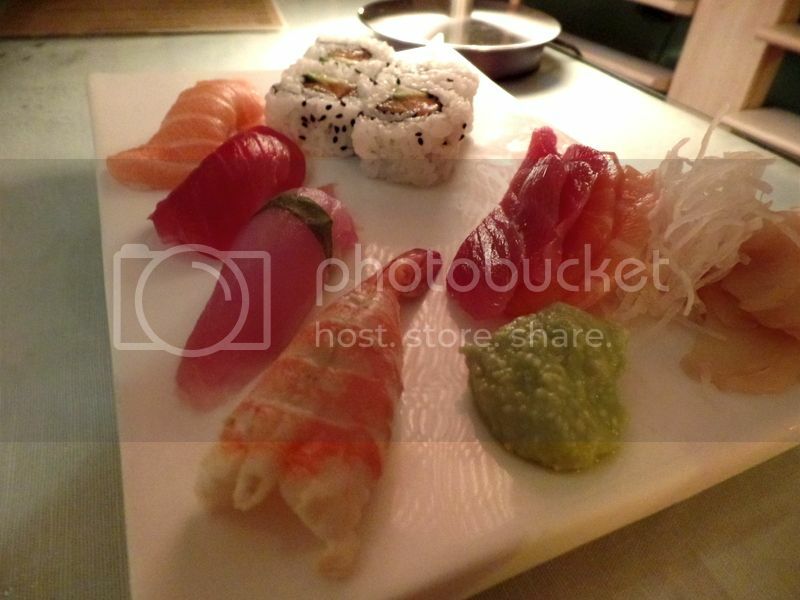 It is simple but not common to find – sushi with no fuss and no frills. The fish really spoke for itself in this dish and we adored the freshness and clean flavours. This was possibly my favourite dish of the evening. This was definitely a tough call to make though. 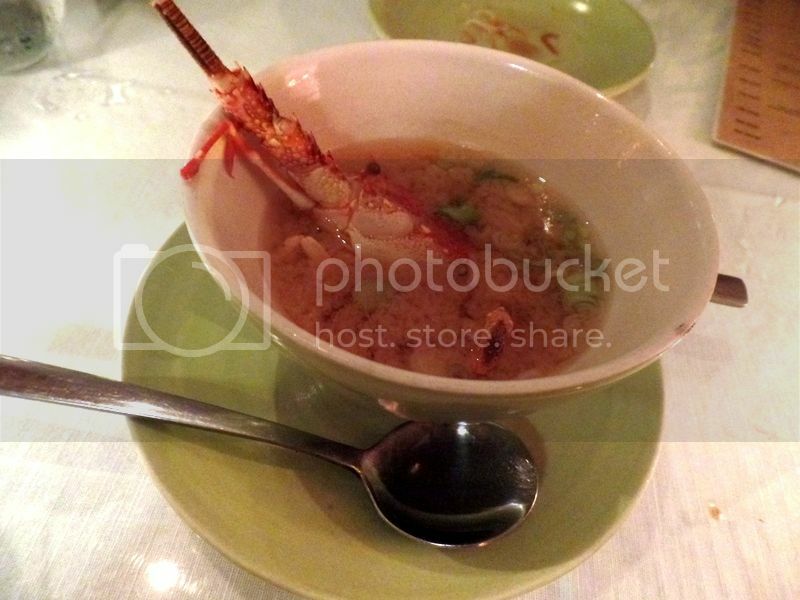 The richness of the lobster and the clear perfectly balanced broth was something else. This is pure comfort food in the most unconventional sense. This was the fresh crayfish miso with crayfish nigiri. The broth was pure perfection and we love pulling out the last little bits of sweet and tender crayfish from the shell. The crayfish nigiri was a first time experience for both of us. George adored it but I felt that the subtlety of the crayfish was overpowered with a little too much wasabi. 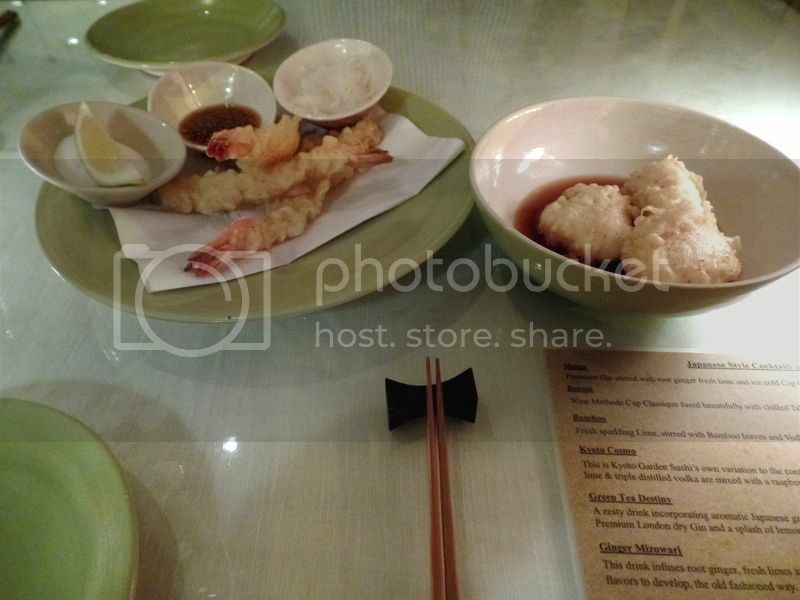 When we go again I will make sure to ask for mine without the wasabi to rather highlight the crayfish. 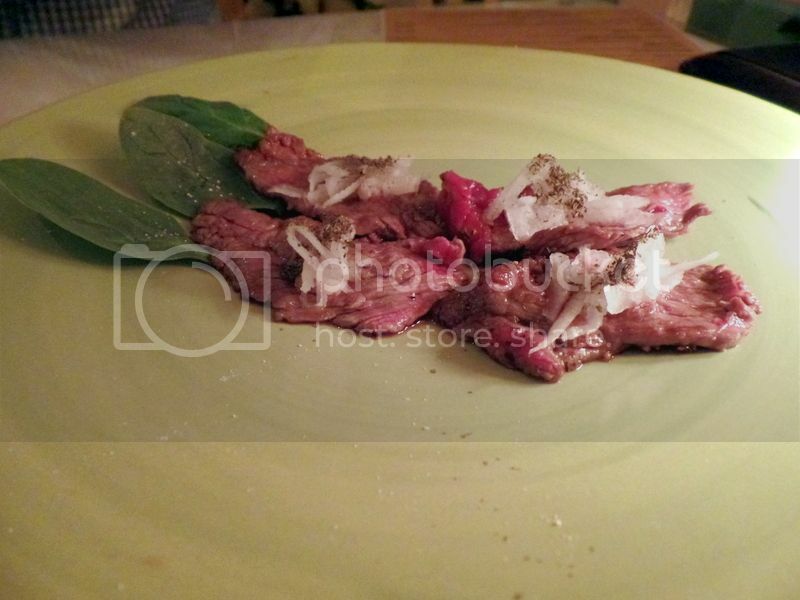 As soon as I scroll down I’m conflicted thinking maybe this was my favourite dish! This is the Wagyu Japanese beef thinly sliced. This was incredibly tender and packed with flavour. Its sadly disappears from the plate to your lips sinfully quickly. I can actually feel my mouth watering just thinking about this dish!! Clearly the Wagyu beef is worth the extra love! I absolutely adore scallops for their creamy earthy flavour and these were no exception to my scallop loving rule. It is actually quite difficult to find scallops in a Cape Town restaurant so whenever I see them I always try order them. The presentation is so wonderful that your dish is almost presented to you like a bouquet of flowers – but even better because you can eat them! 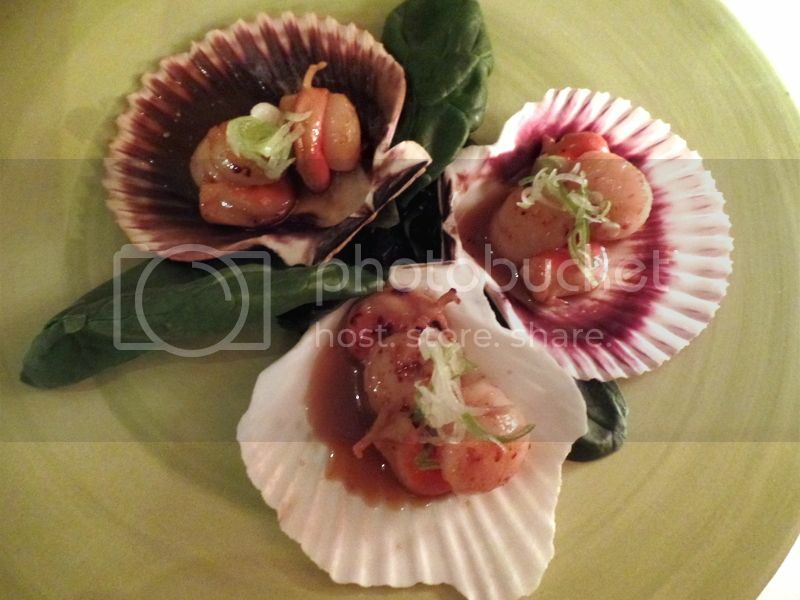 Scallops are really rich and the addition of the fresh zingy spring onions really lifted the dish. Perfect flavour combinations! Cocktails galore! You’re looking at number 5 and 6! Number 3 was the gorgeous Kyoto Cosmo which was a firm favourite for the night with fresh lime, vodka, raspberry sake and a dash of gin! Number 4 was one of their delicious Japanese beers! George was delighted to try out some Japanese beer and really enjoyed his beer with the tuna tartare and Wagyu beef. Up above is the Dirty Ninja Saketini which is Japanese sake with fresh cucumber, dried nori with rice wine vinegar, vodka and gin. This was really strong and George loved it but didn’t follow well after my slightly sweeter cocktail. 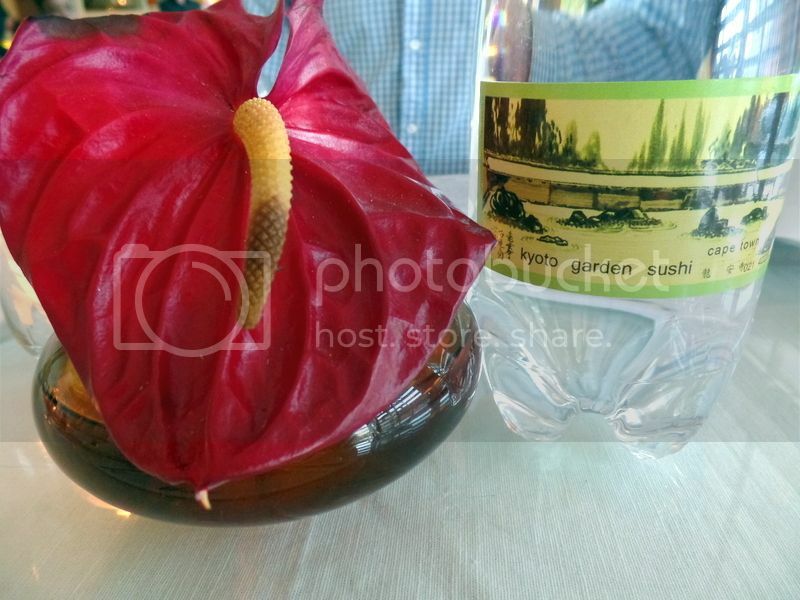 I had the Bonsai which is MCC with chilled Tahara and plum wine. Slightly sweet with lots of fizz, this cocktail was perfect with the tempura! I was warned on twitter not to leave Kyoto Garden Sushi without trying their tempura. I had high expectations but still they managed to blow me away! The tempura is so so light. It’s like they just wrap delicious things in borrowed bits of cloud. 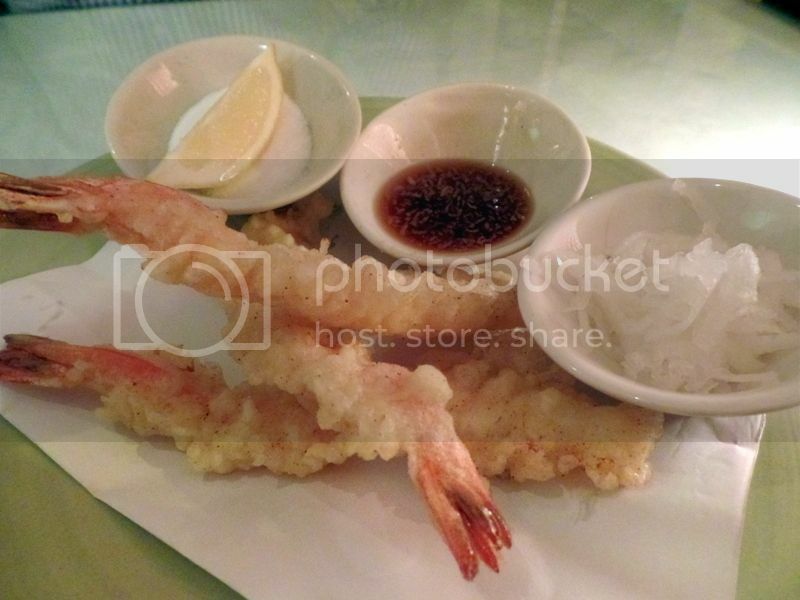 There is absolutely nothing oily about the tempura shell. The tempura scallops were little balls of butter in a delicious salty broth perfect to cut the incredible richness of the dish. The broth was so good that even when the scallops were gone we were still lingering, using capsized bits of tempura batter to soak up the broth. I’m used to having tempura served with soya sauce or teriyaki sauce but this was the first time I’d ever seen it served with salt! The idea behind the salt is to pair like with like. You squeeze the lemon across the prawns, lightly sprinkle salt and BITE! We tried it both ways and I’ve got to tell you the salt really improves the dish! And then the gorgeous main course! Can you believe how much food we ate!? 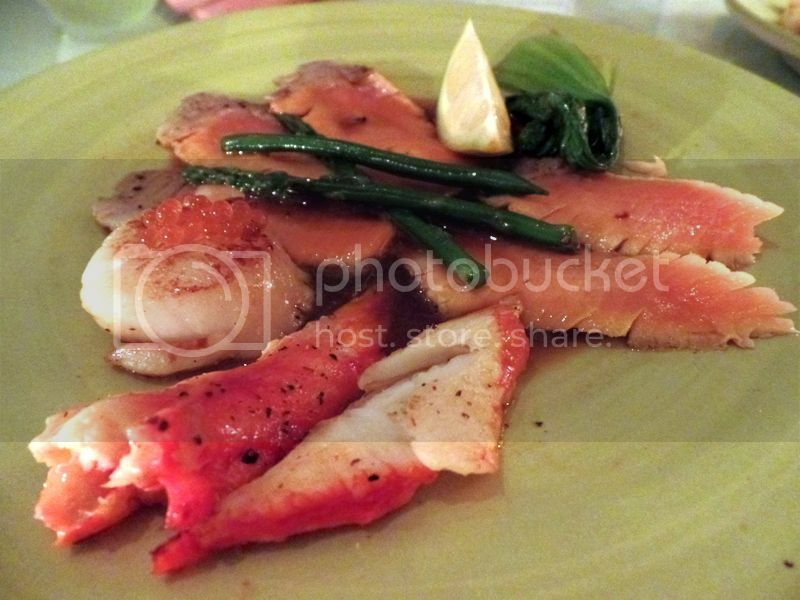 This is the Alaskan Night which is seared salmon, giant Alaskan scallop and Alaskan King crab. I had a terrible first time crab eating experience in Florida so I was a little anxious to try the crab but I really loved it! Where the Florida crab was watery and powdery this one was meaty, firm and juicey. Really oustanding! Thanks Kyoto Garden Sushi for changing my opinion on crab! The salmon was cooked to perfection and we savoured every delicate slice! 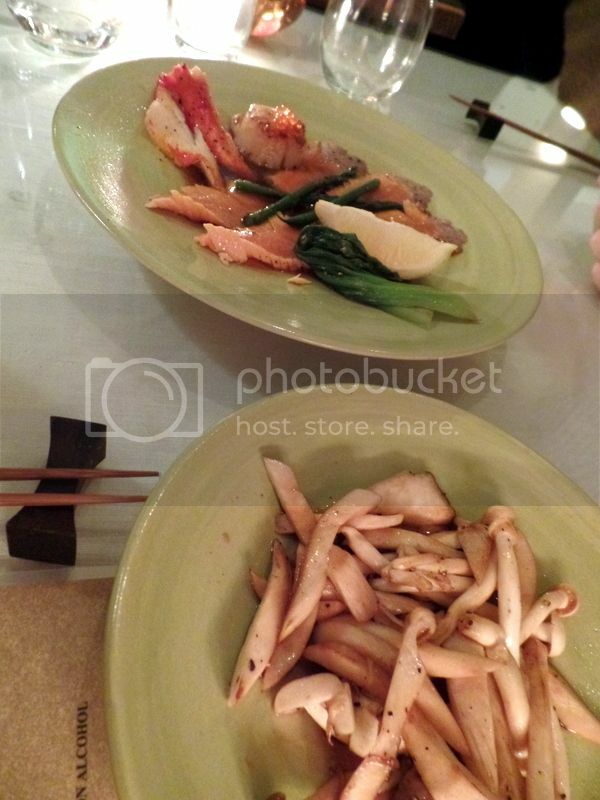 We ordered the main course with a side of Japanese grilled mushrooms to help feed my mushroom obsession. The mushrooms were meaty and buttery and were the perfect accompaniment to the fish. Looking at these pictures I’m a little embarrassed about how much food we ate! But at the time everything was so light and fresh and delightful that we could have kept on eating! 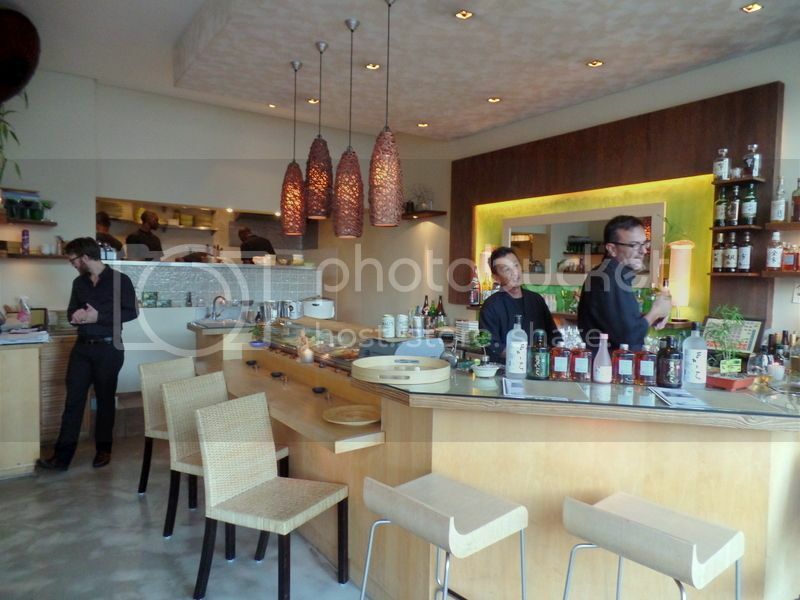 I think what is wonderful about the menu is how light almost all the dishes are. Even the sushi which is a rice based dish is gently rolled and nowhere close to stodgy! And then it came time to end. 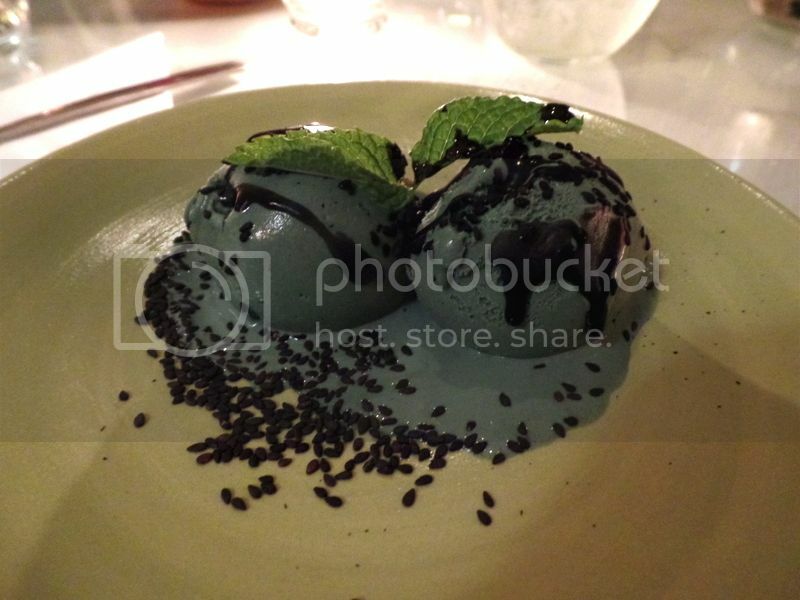 We finished with this most gorgeous black sesame ice cream! I adore sesame seeds and this rich thick ice cream was pure perfection. The ice cream tastes like sesame seeds but more like the idea of a sesame seed. It’s difficult to explain because its not a flavour you find often but the ice cream was both cool and hot and creamy and light but with such depth of flavour. The dish tasted like a perfect balance. 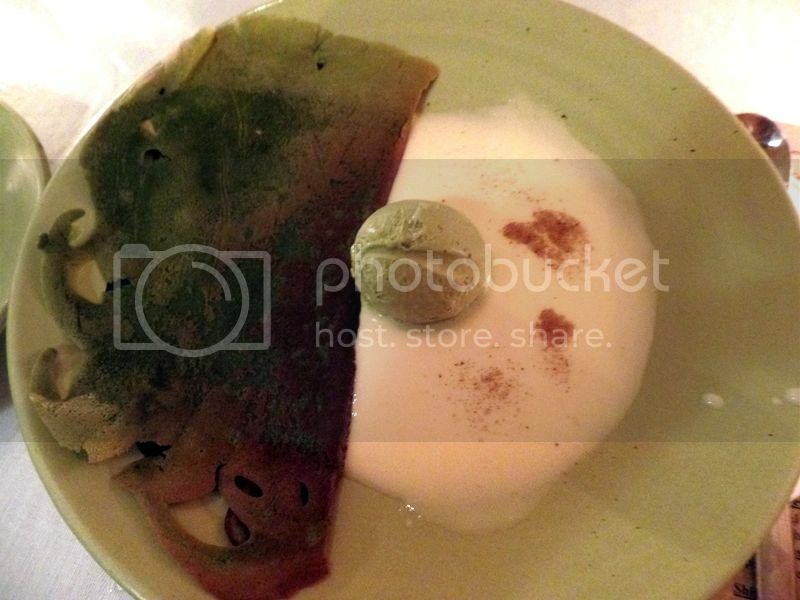 The waiter was responsible for choosing the green tea crepe with green tea ice cream. I did warn him that I didn’t enjoy this dessert when I visited a few years ago but he recommended I try it again. I’m sad to report I still do not like it – the green tea flavour is simply too savoury and earthy and bitter and I just can’t put my finger on that exact flavour I didn’t enjoy. However the boyfriend really enjoyed the savoury with the sweet and had only good things to say about the ice cream. What do I know ;)! Overall we had the most incredible dinner with every dish being mind blowing. I’m trying to think of one dish that you must try but really that’s feeling pretty impossible now that I’ve reached the end of the page. 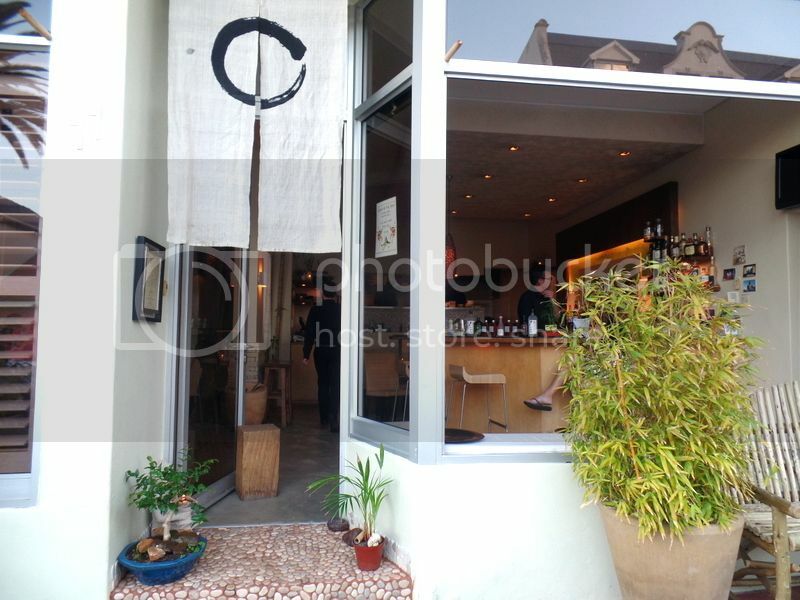 The crayfish miso, the Wagyu beef, the delightful tempura, the rich creamy scallops, the meaty tuna tartare, the light fresh sushi and the perfectly seared salmon. You could not go wrong with a single one of those dishes! Kyoto Garden Sushi: Set Menu for Two Winter Special: Kyoto Garden Sushi Style Kyoto Delights and their new Uni Sushi! Kyoto Winter Special Back Again! ← Taste of Cape Town 2015: All the highlights!